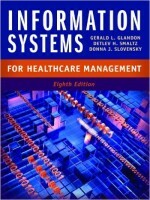 This bestseller provides readers with the comprehensive knowledge necessary to understand healthcare information technology (HIT) and to hone their skills in HIT management. The book explores the areas where leaders must exhibit basic awareness or competency, including hardware, software, and communication systems; operational, management, and clinical applications; and selection, implementation, and valuation. Each chapter has been updated to reflect current trends and challenges in the field as well as the implications of the 2010 healthcare reform law and other relevant federal mandates. Each chapter also features learning objectives, web resources, and discussion questions. This revised edition includes a glossary that clarifies technical terms as well as a list of abbreviations for important terms. Links to Internet sources are provided to supplement the information on the major topics covered in each chapter.